Eiffel Tower by H.A. Durfee Jr. Images have a power that modern vehicles so far do not: to instantly transport us to other places and even times. Two photography exhibits opening this week, in Burlington and Shelburne, will do just that, taking viewers back decades and to locations around the U.S. and across the pond. Each collection also provides a visual excursion into the satiny richness of pre-digital photography. Younger audiences — particularly those enamored of Instagram's "vintage" effects — may find themselves enthralled with the qualities of actual film. And that's to say nothing of the pictures' subject matter. What do the frozen-in-time visions of a Vermont doctor in Europe and a former National Geographic photographer have to show us in the internet age? Read on. 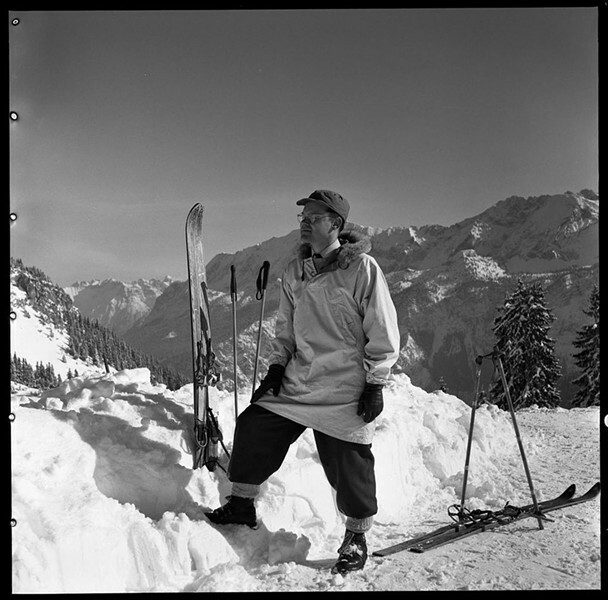 At the University of Vermont's Fleming Museum of Art, even the straightforward title "Travelers in Postwar Europe: Photographs by H.A. Durfee Jr., 1951-53" cannot adequately prepare visitors for these 46 black-and-white, silver gelatin prints. H.A. (Herb) Durfee Jr. was an obstetrician-gynecologist from Burlington who lived and traveled with his wife, Elizabeth, in Europe less than a decade after the end of World War II. He was ostensibly an amateur photographer, but, as his pictures reveal, Durfee had an uncommonly good eye and knew his way around his German cameras. As it happens, though, all of these images and hundreds of others languished in boxes — as negatives — for more than 60 years. "A couple of years ago, after my mom died, I wanted a picture of the two of them in Europe, so I went through the photos and printed one for my dad," says Eleazer Durfee. One day, while visiting the studio of Brandon photographer Don Ross, the younger Durfee told Ross about his father's "cool pictures." 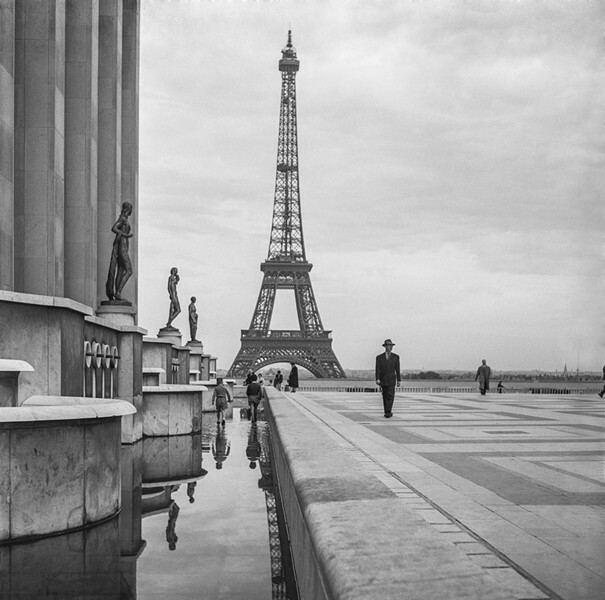 Ross encouraged him to send some negatives, and he did — mostly of Paris, at first. "Don got back to me and said they were really good," Durfee reports. "He was amazed at the quality, the saturation of the blacks. So I just kept sending him more." Ultimately, "more" was some 600 images. "The images put me in mind of Cartier-Bresson or August Sander, and certainly impressed me as the work of someone who was more than just a hobbyist," says Ross. He advised organizing an exhibit. Eleazer (Lea) Durfee, who sits on the Fleming's board, initially took the photos to the BCA Center for consideration, but, he says, everyone — including Fleming director Janie Cohen — agreed the museum was a more appropriate venue. "Travelers," hung in the museum's small Wolcott Gallery, affords an intimate viewing experience with Herb Durfee's photos. And seeing his images printed, framed and displayed for the first time — in a private visit last Saturday — was particularly moving for the man who took them. "It makes me want to cry," admitted the elder Durfee, who's now 90. These images represent personal memories, shared with his wife long ago. They also reflect back to him solid evidence that H.A. Durfee Jr. was a highly capable "amateur." Asked if he even knew he was such a competent photographer, Durfee said modestly, "Well, I had a little training. I took a few classes." 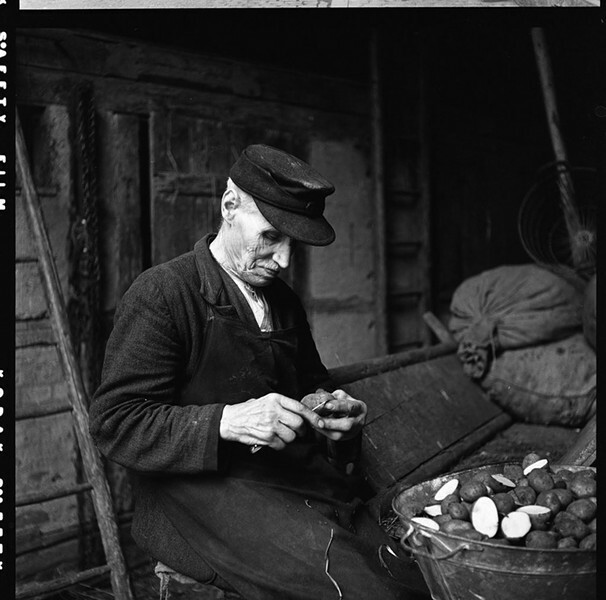 Potato peeler, Germany by H.A. Durfee Jr.
Lea Durfee reveals that his grandfather was also an obstetrician and avid photographer. Among other subjects, H.A. Durfee Sr. took pictures of all the babies he delivered, and darkroom duties often fell to his son. Now, Lea Durfee says, he's considering compiling a book with photos by both generations. For the rest of us, the pictures in "Travelers" are time capsules from Germany, where Durfee was stationed in the Air Force in the early '50s, as well as London, Paris and Venice. He snapped people and places in the nexus between a devastating war and a period of rebuilding. The exhibit opens onto a large print that suggests just that: It captures Parisian street workers laying asphalt outside a triangular building. On the left entrance wall are smaller shots of Elizabeth, posing in front of St. Mark's in Venice, and Herb himself (shot by his wife), at age 27, in ski gear at the German Alps. Each of the images here invite long looks, not simply at the evocative content, such as an old man peeling potatoes, a stern-faced nun with sail-like headgear, urban buildings and bridges, the neat patchwork of a hillside vineyard. What's mesmerizing is the range of grays, the inky blacks, the play of light and shadow — and Durfee's keen compositional savvy. For anyone who loves to look at, and rhapsodize about, black-and-white film photography, "Travelers" is worth a trip. Longtime National Geographic photographer Nathan Benn has shown his work in numerous group shows over the years, but the exhibit opening this weekend at Shelburne Museum's Pizzagalli Center for Art and Education, "Kodachrome Memory: American Pictures 1972-1990," is his first solo outing. (A mutual friend of his and museum director Thomas Denenberg made the connection.) As the title suggests, Benn's images are in glorious color — the intense hues made possible by now-discontinued Kodachrome film. In his artist statement, Benn says that in 1973, as a "green recruit" to the magazine's photo division, he "arrived in Vermont with preconceived notions of idyllic villages populated by sturdy, un-frivolous Yankees." His editors, he notes, "looked to Vermont in particular as an imperturbable beacon of 'olde-time' New England — a welcome antidote to the daily headlines of the Watergate scandal, Vietnam War and race riots in America's decaying cities." Benn found Norman Rockwell-esque scenes in Vermont, all right — an obligatory town meeting tableau being just one of them. But his curiosity didn't settle for just "quaint" Vermont. In this section of his tripartite exhibit, Benn also includes large-scale images of a farmsteading commune, grimy workers in a railyard, impoverished blond tots in a St. Albans tenement and a bobbin maker — laboring for a business that would soon decamp to cheaper factories overseas. Though he didn't know it at the time, Benn's pictures capture Vermont at the cusp of an economic, political and social sea change. The exhibit's other two sections call up memories from the South — in urban and rural communities along the Mississippi River, and in Benn's native Florida. Their mood is different than in the Vermont pictures, and they nearly exude heat. The photographer noted that over time his images became "less didactic" and more abstracted. His photos of laborers, farmers and craftsmen are both documentary and elegiac — recalling the nobility-of-the-oppressed style that Dorothea Lange gave her Dust Bowl subjects. But other pictures only hint at a story: a detail from a worn storefront in Memphis; a young woman with huge black hair waiting for a bus; a large-scale print taken from a marker in historic Vicksburg, Miss., its white letters leaping off a bright-blue background with the help of deep drop shadows. Benn enthused about the "metaphysical connections" that he saw in that battlefield marker: war, history, an endless stream of words that might be about so many battles. Because he "excerpted" a section of the text, a viewer can't really make sense of what it says — which was the point. The image becomes a boldly typographic abstraction that suggests the incomprehensibility of war. Perhaps no one born in Florida could leave it without a sense of humor. 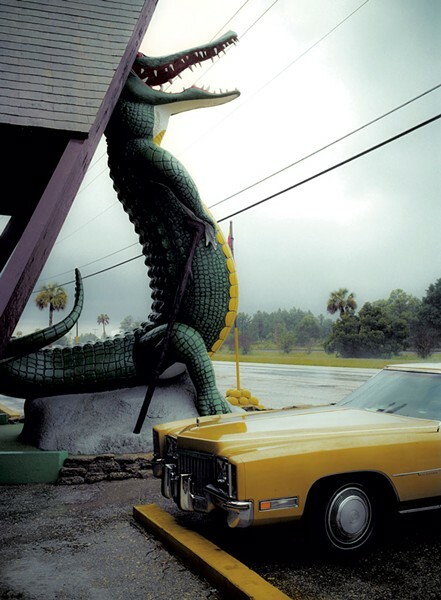 Benn exercises his in 1980s portraits of kitsch, such as an enormous crocodile — or is it an alligator? — advertising a roadside motel; tourists at Cape Canaveral posing with an "astronaut"; a table full of "fun rich people at a party in Palm Beach" and the like. "I think this body of work has the most fun and cohesiveness for me," Benn said. 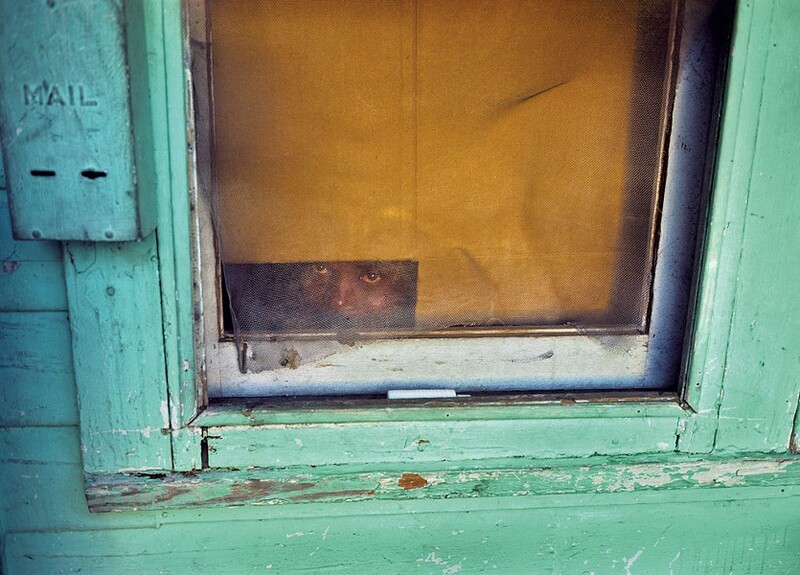 Even so, he also captures the fearful eyes of an illegal immigrant peering through a window shade, the weary but somehow beatific face of a female cotton-mill worker, and pair of stylin' Jamaican laborers wearing multiple hats each. "Kodachrome Memory" is an engaging visualization of human stories in three distinctive areas of the United States. What they have in common is the perceptive eye of the beholder — and full, living color. The original print version of this article was headlined "Picturing the Past"